Tudor Music complemented the different forms of Tudor Dance. Dancing was an extremely popular pastime during the Tudor era for both the rich and poor people. Dancing in the Tudor era was considered "a wholesome recreation of the mind and also an exercise of the body". The emergence of different styles of music and new musical instruments during the Tudor period, combined with various experiments combining different instruments, led to new dances being created. Tudor dance varied according to the social class. The court dances enjoyed by royalty, nobility and the rich were often imported from Italy, Spain or France. These Tudor dance forms varied considerably from the energetic Galliard to the refined Pavane. The poor lower classes enjoyed the more traditional country dances such as the Jig, Morris Dancing, the Brand or the Brawle. These Tudor dances for poor people were closely associated with the customs and festivals celebrated in Tudor England. Tudor dances differed between the rich and the poor, the Upper and Lower Classes. The rich Upper Classes enjoyed new types of music at court. They had a taste for new music and new dances. Many courtiers travelled abroad and returned to the Tudor court with dances from Italy, Spain and France. These foreign influences were found in the development of new Tudor court dances and music. These new dances had to be learnt and Dancing Masters were suitably employed. These Tudor dances were highly sophisticated and stately with intricate steps although the old favorite English country dances were still popular. Many of the Court dances were performed as couples and the suggestive Tudor court dance called the Volt was the only dance which allowed the dancers to embrace closely. The most important Tudor dances were the Pavan, Galliards and Almain. The Tudor poor Lower Classes were not in the position to hear the new royal court music or learn the intricate steps of the Tudor Court dances. Their only contact with these dance innovations, and as with the latest fashions, would have been through the theatres which became popular during the reign of Queen Elizabeth I. The poor Tudors dancing revolved around country dancing. The English Tudor country dance was danced by couples in round, square, or rectangular sets in much simpler and repetitive forms than those of the royal court dance. Dancing for the poor would have been passed down through the generations and the different types of country dances were popular with everyone. The dances of the poor would have been performed at fairs and festivals, many of which were dictated by the changing seasons and the calendar of Church events. Many of the dances of the Tudor Lower classes were steeped in old customs and rituals, such as dancing around the Maypole. The Christmas festival included the carole which was the most popular dance-song which could be danced in a circle, or in a chain, or as a processional. Our modern Christmas Carols are derived from this old English practice. 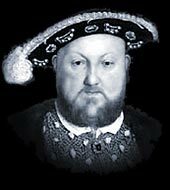 The major events in the Tudor's lives, both the Upper and Classes, were dominated by Christian festivals. In the Dark Ages old pagan rituals were combined with the new Christian festivals in order to ensure their acceptance by the common people. The following list of Tudor festivals reflect some pagan rituals and beliefs, some of which, like the Maypole dance was Pagan in origin. Each section of this Tudors website addresses all topics and provides interesting facts and information about Tudor Dance. The Sitemap provides full details of all of the information and facts provided about the fascinating subject of the Tudors!